New information published by Tech.pinions, gathered in a pair of studies conducted by Ben Bajarin, a principle analyst of Creative Strategies, sheds some real-world illumination on the subject of voice-based interfaces, who is using them and where. This underscores Apple's current position just days before the company is expected to outline the future of its Siri voice assistant at its Worldwide Developer Conference starting on Monday. Amazon's Echo appliance (above) was first introduced in a limited rollout at the end of 2014, and subsequently became widely available last summer. Many of its users love it. Last week, a report by Davey Alba for Wired implied something even greater was going on with the headline "The iPhone's Biggest Threat Isn't Android--It's Amazon's Echo." In it, Alba portrayed a graphic (above) by venture capitalist Mary Meeker that suggested iPhone sales "may have peaked" while Echo sales "are beginning to take off." The chart contrasts an estimated number of iPhone sales for 2016 that's lower than last year, but shows four quarters of Echo sales each higher than the last. The two charts, however, are not only comparing different time scales, but also are presented in wildly different volume scales. Three years of iPhone sales represent an average of around 200 million units per year. 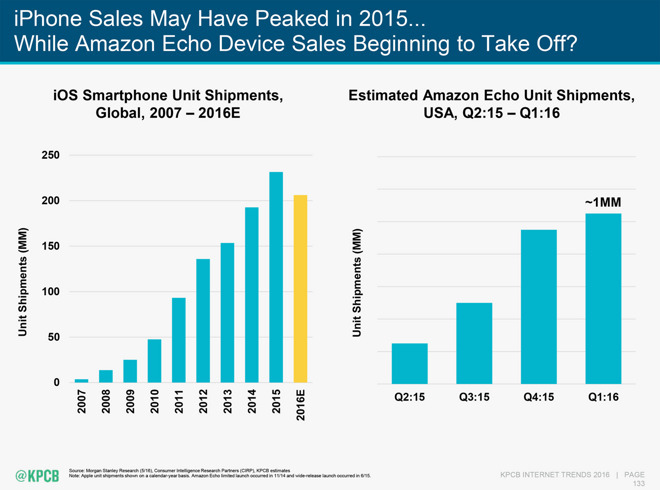 Echo shipments are estimated to be less than three million units per year. Note that the idea that iPhone sales "may have peaked" can also be compared to Apple Watch sales, which are also "beginning to take off." The difference is that Apple Watch has achieved around 12 million first year sales, or about four times that of Echo. In revenue terms, Apple Watch has generated around $7 billion in its first year globally, while the $179 Echo brought Amazon something like $540 million, max, and is limited to the U.S. because it only works domestically and in English. Suffice it to say that bloggers who think of Apple Watch as a flop but that Echo is wildly popular are massively delusional. "The overwhelming majority of Echo owners also owned an iPhone (83.72 percent)"
Overall, the roughly 3 million installed base of Echo devices compares to Apple's billion device user base! However, the two figures much closer related than you might think. Bajarin's initial Echo-oriented survey of 1,300 early adopters found that "the overwhelming majority of Echo owners also owned an iPhone (83.72 percent)." Bajarin noted that in general, early adopters are largely iPhone users, a correction of the common mindset that Android attracts techies rather than just mostly people on a tight budget. That also means that Amazon has largely sold its new product among Apple's customers, rather than creating an entirely new audience for Echo. It also explains why Google's Android Wear and Samsung's Galaxy Gear both worked to deliver iOS support for their devices, while Apple's far more successful Watch sales have so far been limited to supported iPhone users: a matter of priorities. Bajarin's Echo survey showed that more than half of its users have installed their Echo in the kitchen, a factor that influences what kinds of tasks it's actually used it for. According to its users, Echo's most popular and common tasks are playing a song, controlling smart lights and setting a timer. The task that Amazon itself would like to see users doing--ordering a product from the Amazon Prime service--was something that only about a third of Echo users had ever done, while Echo's third party connections to other services--such as ordering an Uber ride--was something less than ten percent of Echo buyers had ever tried. This dampens enthusiasm for Echo's ability to generate ongoing revenue, but also suggests that Amazon's lead in opening up an API for voice-UI partner developers isn't really returning immediate results, and could easily be threatened by rivals inching into its space. Echo's third party voice applications aren't exactly gaining the incredible traction that Apple's iPhone App Store immediately achieved back in 2008, creating a new world of mobile consumer apps--back when the first year installed base of iPhone users was still only around 6 million. If Apple shows up with its expected Siri API leveraging a greater than one billion device installed base, Echo's current ecosystem serving a smattering of a few million devices in the U.S. will likely look as deserted as Android Wear or the app stores of Windows Phone or BlackBerry X.
Echo enjoys generally high satisfaction ratings from users largely due to its impressive ability to hear and recognize what users ask--often noticeably superior to Siri on an iPhone or Apple Watch. "This has a lot to do with the Echo's microphone tech and noise-canceling capabilities, as well as its connection to persistently good broadband," Bajarin noted, "which is often where Siri and OK Google break down when trying to use while driving and/or operating in areas of poor-quality service in mobile broadband networks." Given that the overwhelming majority of Echo users are also iPhone users, and that Apple reportedly has its own voice appliance in development--which would similarly be able to benefit from multiple microphones, constant power and a strong network connection--it appears that Amazon's Echo will be the product defending its 3 million strong territory if Apple introduces a competitor, rather Apple's billion unit installed base being "threatened" as the Wired headline sensationally suggested. 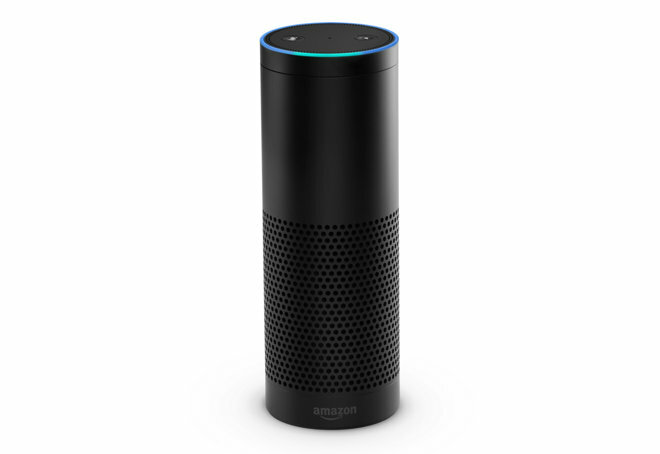 Additionally, there is a critically important reason why Amazon soft-launched Echo at the end of 2014 and has worked on selling its Prime customer base a voice-enabled appliance rather than following Apple's model for Siri on iPhones, Google Now for Android or Cortana on Microsoft's platforms. It's not entirely because having a speaker with mics, plugged into the wall and connected to the internet is inherently good at listening. It's also because Amazon tried to launch a mobile phone platform in the summer of 2014 and spectacularly failed in a way that made Windows Phone look relatively successful. After Amazon's Fire Phone imploded, the company had tons of money invested in a corpse and the only option left was to shake the remaining change out of the cadaver's pockets. Echo is a brilliant pivot, but its no smartphone platform. Amazon has a voice product that works in one country and in one language, with a design that necessitates a fixed appliance model. Moving that to a desirable mobile device that users will want to carry with them will be a complex and difficult undertaking. In comparison, Apple adding Hey Siri to its Beats Pill Bluetooth speakers or Apple TV in order to encroach upon Echo's appliance beachhead would require very little effort. 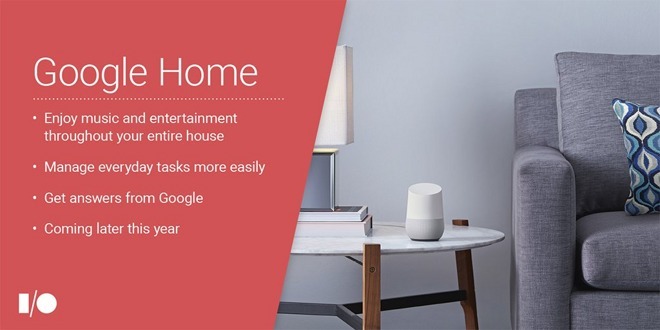 It requires so little work that Google could float its own Home concept just a year after seeing the attention Echo was attracting, despite its outstanding troubles in bringing any of its own original hardware ideas to market. Two years after the Fire died, and as Microsoft's phone business is being given its last rites, there's less hope than ever for another new Amazon phone launch. That presents two options: try to ride on the back of a rival's platform where the default voice service has a huge advantage, or sell an appliance that has some potential for creating a new ecosystem. Unfortunately for Echo, the new development ecosystem Amazon is working to build has largely been erected among Apple's iPhone users, where Siri already exists (and can be enhanced in place) and where Apple has its own competing home automation initiatives related to HomeKit, as well as a mesh of existing devices linked together with Continuity integration, and a $3 billion Beats acquisition that already has experience in selling wireless speakers and has attracted a strong brand following. 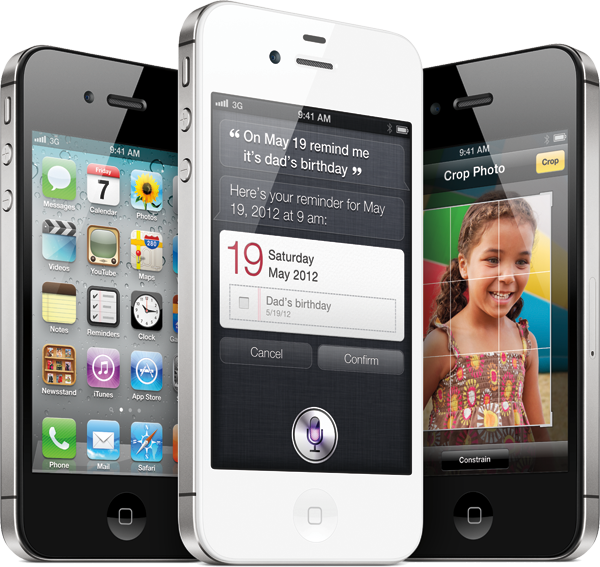 Apple first launched Siri as a key marketing feature for iPhone 4S in October 2011, largely based on its acquisition of an existing Siri service in the spring of 2010. Initially, Siri launched with support for American, Australian and UK English, as well as French and German. Siri's launch was lambasted by Apple's competitors. Andy Rubin, then the head of Android development at Google, insisted that he didn't "believe that your phone should be an assistant" like Siri. Microsoft's Andy Lees, who was managing Windows Phone 7, was also quick to say he didn't think Siri was "super useful," indicating his company would avoid having its users speak commands to their phones in public. Both companies came around relatively quickly. As Siri turned one in 2012, Apple enhanced its voice service in iOS 6, adding support for Japanese, Chinese, Korean, Italian and Spanish. That same year Google introduced Android 4.1 with its own competing Google Now. Within the next year, Google also brought Google Now's voice search to its iOS search app (in April 2013) and a few weeks later integrated it into its own Chrome desktop PC browser, two reminders of where Google actually makes its money. Apple hasn't ported Siri to Android, nor even the Mac/PC desktop or browser yet. 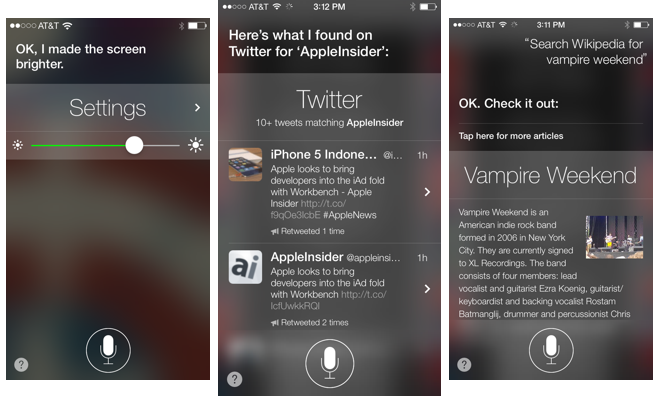 In the summer of 2013, Siri's interface was revamped for Apple's new iOS 7 (above) along with gaining other new abilities and enhanced synthesized voice options. 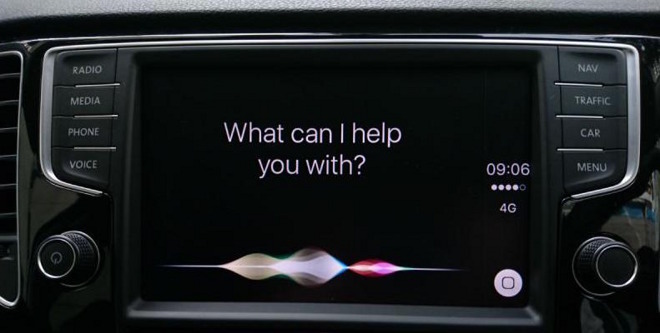 Apple also introduced "iOS in the Car," (now known as CarPlay), an initiative that gave Siri's voice a more useful role in vehicles. For iOS 8, Apple introduced Hey Siri on new iPhones equipped with hands-free listening hardware, and followed up last year with iOS 9's Spotlight intelligence. Siri now works in 32 countries in about as many languages (31 more than Echo). Google created its own version of CarPlay in 2014. The next year, Google added conversational, contextual features to its voice service, branding it as Google Now On Tap in Android 6 Marshmallow and expanding support to French, German, Korean, Italian, Spanish and Russian. The service was expanded into more of a two-way dialog this year at Google IO 2016, resulting in an intelligent service upgrade named Google Assistance. Google has demonstrated superior search results and more sophisticated parsing of context than last year's Siri. While Google appears to have been faster than Apple at delivering leaps of new functionality, it hasn't been actually rolling these features out to a large portion of its installed base of Android users. If Android's huge lead in installed units matters, then so does Marshmallows' tiny fraction of that base: it's currently barely breaking 10 percent, a significantly slower penetration compared to the previous year's Android 5 Lollipop. While a relatively fast follower--introducing its own version of Apple's initiatives within about a year--Google is slow at Android deployment, resulting in actual usage of Google's voice services by consumers being lower. Bajarin's study found that "Siri is the most used voice-based user interface." In a second survey of 518 mainstream (non early adopter) consumers, 65 percent said they'd used either Siri, Google Now or voice search, or Microsoft's Cortana. However, of those, 79 percent had used Apple's, while 65.2 percent had used Google's and just 28 percent had tried Microsoft's. "More consumers across the spectrum of operating systems (iOS, Android and Windows) have used Siri than any other voice UI," Bajarin wrote. So much for the overwhelming market share of Android phones and Windows PCs to influence the rollout of new technology. Bajarin said he credited iPad with assisting here, because many Android, Windows PC and feature phone users have iPads, even if they don't have an iPhone. Microsoft similarly changed its tune on the idea of how "super useful" speaking to your phone could be after watching sales of iPhone 4S take off, assisted by Apple's continued promotion of Siri. That driving attraction has been duplicated by enthusiastic adoption of Apple's CarPlay, in part fueled by hands free Siri feedback. 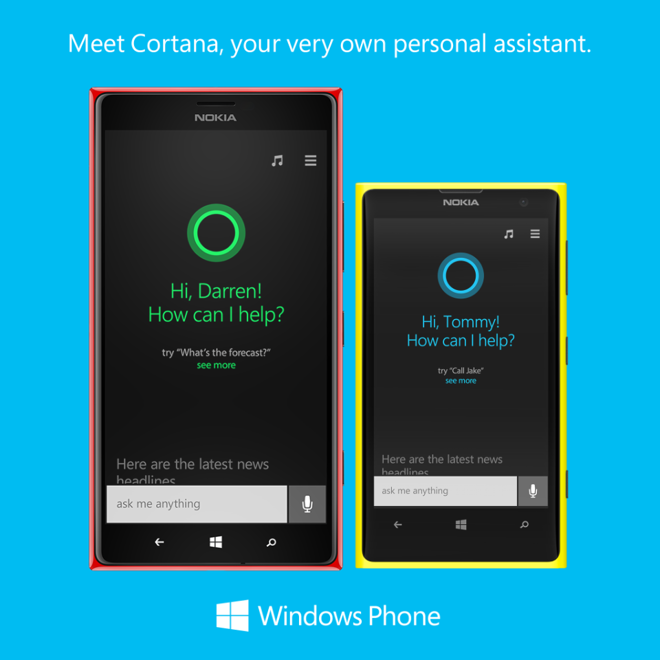 In the spring of 2014--two and a half years after Siri appeared on iOS and a year after Google Now was announced for Android--Microsoft launched its own Cortana voice assistant, named after an AI character in its Halo video game franchise, as a major feature of Windows Phone 8.1. After nearly two more years of dismal results in trying to sell Windows phones offering Cortana, Microsoft delivered a Cortana app for iOS and Android--ahead of even announcing its plans to bring Cortana to its own Xbox gaming platform. Bajarin's second study--focused on mainstream users--also found "distinct differences in how having a voice user interface to a communications device like a smartphone differs from one that is stationary in the home and positioned as a smart hub." The most common tasks for Siri or Ok Google were to search for something on the Internet, get directions somewhere, or to call or text someone--no overlap at all with Echo's top roles. While pundits keep portraying the value of artificial intelligence, mass surveillance and the indexing of extensive dossiers of personal data in the future of voice assistants--often crafting complex voice request scenarios where we ask for "an affordable Asian restaurant with gluten free options that's good for children the age of mine"--the reality is that voice services are an extension of how we already use our phones; a shortcut, not really a Knowledge Navigator robot-friend. "When I look at these most common tasks, they strike me as fairly basic," Bajarin wrote, "which is an important observation to understand, given where the market is today. These most common tasks may be simply because the products are still somewhat limited in their capabilities, but could also be because they are the ones that work the best and most consistently." A voice assistant that quickly supplies useful information in response to an effortless question is naturally more valuable to a broader audience than a complex machine that tries to read meaning into the perceived nuances and allusions to other factors that are buried in cinematically complex oration. The most popular place to use voice services was in the car--51 percent of study respondents called this their primary place to use Siri or Ok Google. The next most popular location was in the home, with 39 percent. Notable in both respects is an assumption of privacy. Only six percent in the study said they commonly used Siri or Ok Google/Google Voice in public. 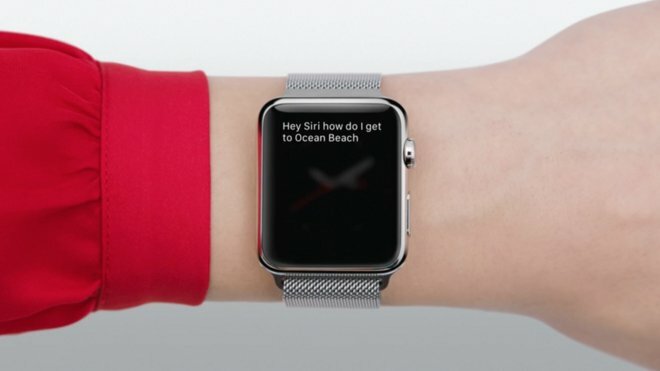 Given that Siri has now been in popular use for about five years, it doesn't seem likely that there will be a sudden shift in how often we want to begin talking out loud in public to a computer assistant just because the results it provides may improve. This offers support for the home-based strategy of Amazon's Echo, and for Apple's aggressive rollout of CarPlay as a "killer app" for Siri functionality. But again, it will be much easier for Apple to introduce Siri into the home than it will be for Echo's Alexa to get itself meaningfully integrated into new cars. Next week, Apple's Worldwide Developer Convention is expected to devote significant attention to the future of the voice services Apple first introduced into the mainstream five years ago--back before its current competition took Siri very... seriously. While Apple introduced Siri on iPhone, real world usage data shows that it may be most useful to consumers in their vehicles--a primary focus for Apple since it unveiled CarPlay--and around the home--a use case the company has reportedly been focusing its efforts on for over a year. Additionally, the company's last two major new product launches, Apple Watch and Apple TV, have both focused new attention on Siri in wearables and on TV. The former is a category Apple now leads by a huge margin. While other vendors (notably including Amazon) were first to bring voice search to TV boxes, Apple's own TV entry has rapidly increased its previous market share by 50 percent since launching with a Siri Remote last fall. In addition to expanding and entrenching where Siri can be used, Apple has also been working to improve the sophistication of Siri, particularly in its ability to remember expanded context (beyond current tasks like assigning yourself a name or saying how to pronounce names of your contacts) as well as its ability to work with third party apps and services. Apple's acquisition of VocalIQ last year, a startup that originated with the University of Cambridge Dialogue Systems Group and focused upon automotive projects with carmakers including General Motors, as well as its earlier establishment of a corporate office and R&D center in Cambridge in late 2014 show a long term investment in Siri. A local report from last November detailed job listings stating "Apple is entering an exciting phase in Siri development, and we are aiming high both in terms of what Siri can do and the software engineering practices we follow in developing it. You will be working in a team of highly talented software engineers and speech scientists to expand the capabilities of Siri." Apple will present a WWDC keynote address on Monday, followed by its Platforms State of the Union, at San Francisco's Bill Graham Civic Auditorium, the same venue it refurbished and used to introduce iPad Pro and Apple TV last fall. More information about Apple's focus for WWDC can be found in our article series examining Apple's iOS platform, Apple Watch and its watchOS, the tvOS used by Apple TV and Apple's Mac and iCloud platforms.